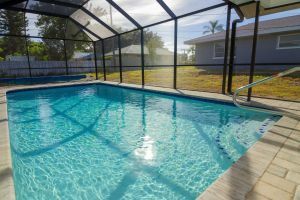 Aqua Doc Pool Clinic maintains approximately 1,000 residential and commercial swimming pools each week in Sarasota & Charlotte County using a team of technicians that are professional, knowledgeable and reliable. 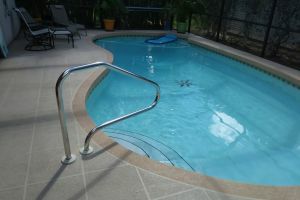 We have different levels of pool cleaning services to suit all customer and pool requirements. 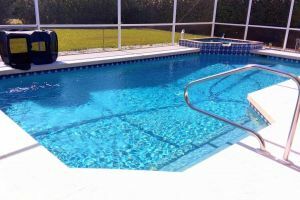 We have summer and holiday pool cleaning services (minimum 3 months) available to our out of town residents along with clean up’s and new home owners need. We do not require a contract. We feel that you deserve the best so we endeavor to provide the best pool cleaning services for you. All technicians hold a Certified Pool Operator license. Our technicians receive additional in-house training. Dedicated full-time Quality Control Specialist on Staff. Fully insured and licensed professionals. Uniformed team members in fully marked trucks. Balance and adjust water chemistry. Clean pump and skimmer baskets. Clean filter once per month. Brush walls once per month. Clean pump & skimmer baskets. - Repairs are not included in the maintenance fee, and will be charged separately. Minor repairs (replacement of O-rings, etc.) will be done automatically. - For repairs costing more than $25, we will contact you for approval. If you will be unavailable, please give us the name and number of someone (preferably local) who can deal with emergencies and who can approve any necessary repairs. Aqua Doc Pool Clinic can repair all types of swimming pool equipment on residential swimming pools. We can replace old equipment with new if repairing is not possible due to age or wear. Chemical feeder repair and replacement. Aqua Doc Pool Clinic offers the quality and reliability that only an established company can provide. Aqua Doc Pool Clinic can restore your swimming pool and hardscape to a retreat that you will enjoy for years to come. Renovations help to ensure safety, lower maintenance and will extend the life of your pool. Click on any thumbnail to see all the photos of the project. Call Aqua Doc Pool Clinic at (941) 303-8501 or contact us by form or email to start our services today. Swim and be happy!